The ClearLLab 10C Panels are intended for in vitro diagnostic use for qualitative identification of cell populations by multiparameter immunophenotyping on the Navios and Navios EX flow cytometers. These reagents are used as an aid in the differential diagnosis of hematologically abnormal patients having, or suspected of having, the following hematopoietic neoplasms: chronic leukemia, acute leukemia, non-Hodgkin lymphoma, myeloma, myelodysplastic syndrome (MDS), and/or myeloproliferative neoplasms (MPN). 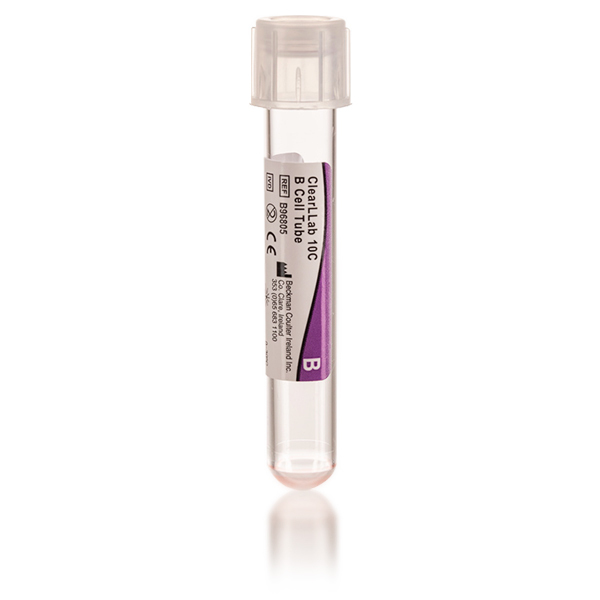 The reagents can be used with peripheral whole blood (collected in K2EDTA, Acid Citrate Dextrose (ACD) or Heparin), bone marrow (collected in K2EDTA, ACD or Heparin) and lymph node specimens. Interpretation of the results should be confirmed by a pathologist or equivalent professional in conjunction with other clinical and laboratory findings.